So, you have a new kitten or are thinking about getting one of those precious balls of fluff that steal into our hearts and make us feel all warm and fuzzy inside. Of course, we want the very best for our new little friend. That’s why our motto here at the Lytle Vet Clinic is ” Caring for your pet .. together” and with your help, we intend to keep your new kitten healthy and happy. Here are a few guidelines we suggest to ensure a healthy kitten. 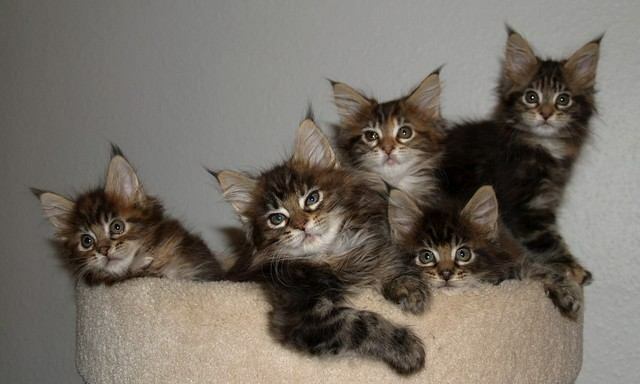 Kittens are usually weaned at the age of 6-8 weeks. Regular cat food does not contain all the nutrients your growing kitten needs; so we suggest feeding it kitten chow until it is a year old. Sometimes very small kittens have difficulty with the crunchy texture of the kitten chow. Mixing the chow with a small amount of warm water will make a softer chow that usually the very young kitten can manage. Fresh water should be available to the kitten at all times. 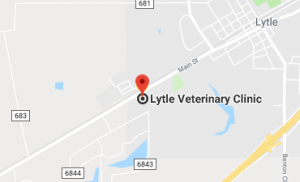 At the Lytle Vet Clinic, Prevention, is the best way to keep your kitten healthy. Most of us don’t want to hear about the bad things that might happen to our pets. That is why the vaccinations against the various diseases that are feline-related are of prime importance to the health of your kitten. All kittens should be tested for feline leukemia, a highly contagious and incurable disease in catsKittens can be born with this disease so it is wise to have your kitten tested even if you own the mother. Feline Leukemia is transmitted through the saliva. Cats most at risk are those that share food and water bowls, go outdoors, fight or come from multi‑cat households. Intestinal parasites like hookworms, roundworms, tapeworms and coccidia are commonly found in our area. We routinely deworm kittens twice during their initial series of vaccination, and then on an annual basis to prevent infestation which can cause profound diarrhea weight loss and anemia. To protect the health of your kitten, we recommend the following schedule: 6 weeks FCVR plus Dewormer 9 weeks FCVR & FELV plus Dewormer 12 weeks FCVR, FELV & Rabies plus Dewormer At 12 weeks your kitten is old enough to begin heartworm preventative and flea control We carry the best heartworm preventative and a wide variety of excellent flea control products. We would be happy to help you choose the product that would work the best for your kitten’s environment. When your kitten becomes one year old, the recommended vaccinations include a FCVR and a Rabies vaccination.Cats that go outdoors will need a FELV vaccination every year. Strictly indoor cats will need a FELV vaccine every 3 years. Explanations of the diseases that we vaccinate for are described here for you. FCVR Vaccine: This is a combination vaccine which immunizes against four different feline diseases. Feline Panleulkopenia which is also known as feline distemper, a highly contagious, widespread disease that can appear suddenly. The symptoms include fever, appetite loss, weight loss, depression, severe vomiting and diarrhea, dehydration and death. Feline Viral Rhinotracheitis is caused by a herpesvirus and is a respiratory disease that affects the upper air passages and lungs. It produces fever, sneezing, coughing, appetite loss, eye and nose irritation and discharge. Very young kittens sometimes die from severe secondary bacterial infection, Cats that survive a case of Viral Rhinotracheitis often become chronic carriers, spreading the infection to other cats that they contact. Feline Calicivirus is also an upper respiratory infection which is often contracted along with Feline Viral Rhinotracheitis. The symptoms are similar, although Feline Calicivirus mainly affects the lungs and oral cavity, causing viral pneumonia and ulcers to appear on the tongue. Cats may remain carriers for years after contracting and surviving the disease. Pneumonitis is primarily characterized by eye inflammation. This upper respiratory infection is caused by Chlamydia psittaci and can be complicated by secondary infection. FELV Vaccine: This vaccine protects against a number of fatal conditions not strictly classified as leukemia. Among them are various forms of cancer and malignancy. The virus suppresses the immune system and leaves cats susceptible to other infectious diseases. Cats transmit FELV through saliva, so cats allowed to roam freely are at the greatest risk. Rabies Vaccine: Protecting against an always fatal infection, the Rabies vaccination is of utmost importance. This viral infection is transmitted through saliva from biting and all warm-blooded creatures, including humans, are susceptible to contracting this infection. It causes severe damage to the central nervous system and typically progresses to paralysis and death.